This is a cohort-based, full-time, day-time MBA program. The IMBA program is designed to develop participants’ critical thinking and analysis skills in cost accounting as well as their abilities to support the strategic directions of their organizations as they attempt to deal with global competition, economic volatility and fluid organizational structures. The Graduate Certificate in Judicial Administration provides students with an opportunity to learn from current leaders in the California judicial system. One of the few programs of its kind in the United States, graduates will learn the skills needed to make a difference in the successful practice of judicial administration – through their courts and their communities. The Master of Science in Accountancy (MS/Accountancy) program is in response to new developments in the accounting and business worlds. Significant changes in the regulatory climate, including the Sarbanes-Oxley Act, have increased the need for graduate-level education. The 150-credit hour education requirement established by the American Institute of Certified Public Accountants (AICPA) also has significantly increased the demand for graduate education in accounting. Sacramento State’s online Master of Science in Accountancy (MSA) program came in at 59th in a national ranking of the best online graduate business programs conducted by U.S. News & World Report. The ranking vaults the University 16 places against 2017. It also places Sac State second among the 23 CSUs; Fullerton tied for ninth. Sacramento State has cracked U.S. News and World Report’s Top 100 Best Online Graduate Business Programs for its Master of Science in Accountancy (MsA) program. The program was ranked No. 70 in the nation by the publication, the first time it has made the Top 100 list – ahead of some noted institutions such as Texas A&M and the University of Massachusetts. 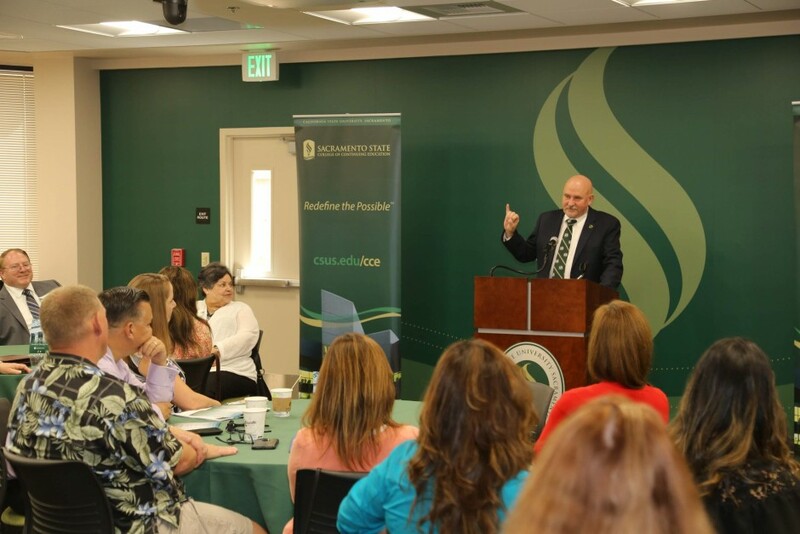 Sacramento State’s Masters of Business Administration for Executives is a renowned and proven program that can be completed in 15-months. It is an AACSB-accredited degree designed for experienced professionals who aspire to leadership positions. Since 2005 the College of Business Administration has graduated over 650 EMBA students and continues to fuel top positions within leading Fortune 500 companies in Sacramento and the Bay Area. School social work (SSW) is a challenging yet rewarding profession. In schools, social workers often serve as the liaison between parents/guardians, the school administration and the community. School social workers collaborate with other school officials to support students in reaching their academic and personal potential. In California school nursing is considered to be a highly specialized area of nursing practice requiring additional education and clinical preparation. The College of Continuing Education, in partnership with the Sacramento State School of Nursing, is offering the School Nurse Credential (SNC) program. The SNC program began in 1966 and is academically based in the nursing graduate program at Sacramento State. “I am very grateful for education at Sacramento State. My assessment, public speaking, planning, and collaboration skills are much better for having participated in this program. I see myself differently now, and believe for the first time that I am a leader in nursing.